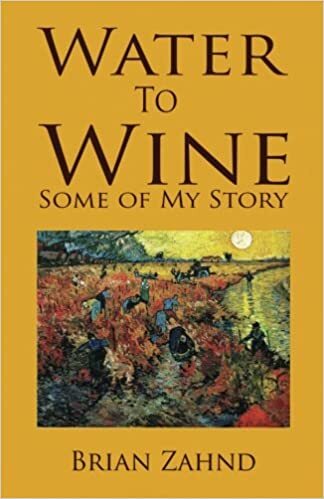 I just finished reading Water to Wine: Some of My Story by Brian Zahnd. Zahnd’s book is an autobiographical account of his faith journey over the last 10-15 years. Zahnd is the pastor at Word of Life Church in St. Joseph, Missouri. He shares his story of becoming discontent with American popular Christianity and a longing for a deeper, historically rooted faith. His journey introduced him to some of the great thinkers, theologians and authors throughout Christian history. Along the way Zahnd finds a connection to liturgy (worship) and prayer rooted, not in his own invention and not in the pattern of mass produced popular Christian culture, but in praying prayers and worshiping in patterns that have been used by the church throughout two thousand years of worshiping. I found a lot in common with Zahnd’s story. It has been a wonderful blessing to discover connections to a radical faith that has been practiced for centuries. At times we seem to think we need to innovate a new kind of Christianity in order to speak to a new culture. But Church history reminds us there is nothing new under heaven (Ecclesiastes 1:9-11). There is something valuable and comforting to know that Christians have wrestled with similar issues, questions, and theological struggles as we do today. Here at Spring Creek we identify most closely with the Anabaptist/Pietist tradition from which the Church of the Brethren was formed. Part of what this means is that we value studying the Bible together in community. Community helps to keep our individual ideas from straying too far from what Jesus intended (we hope and pray). We learn not only from our local community of faith, but also from a community of faith across the earth and throughout history. To connect with others in historic prayers and patterns of worship is to worship with the Cloud of Witnesses (Hebrews 12:1-3). Water to Wine is a pretty quick read. Zahnd shares a story with which many can connect. If you’re looking for something new and fresh to read, pick up a copy. I’d love to hear your thoughts. Check out Pastor Adam’s Blog for more resources and thoughts on current sermon series. Our sermons aren’t the final word on a Scripture or topic. Usually they introduce a conversation. Our Blog is a part of that conversation. Join in on the conversation!